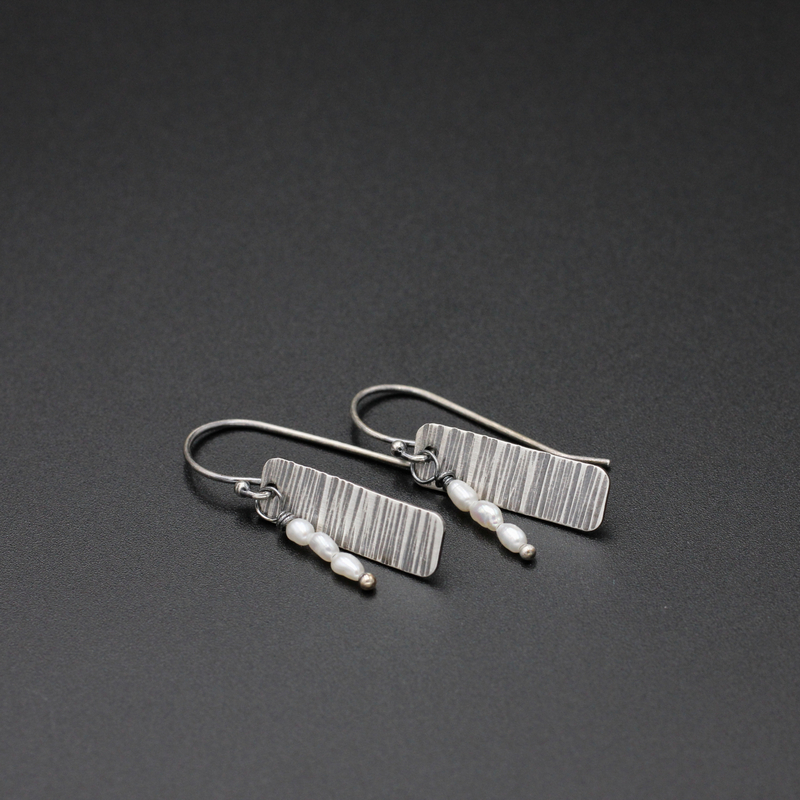 These perfect every day earring were created by hammering a sterling silver rectangle with a tree bark texture. 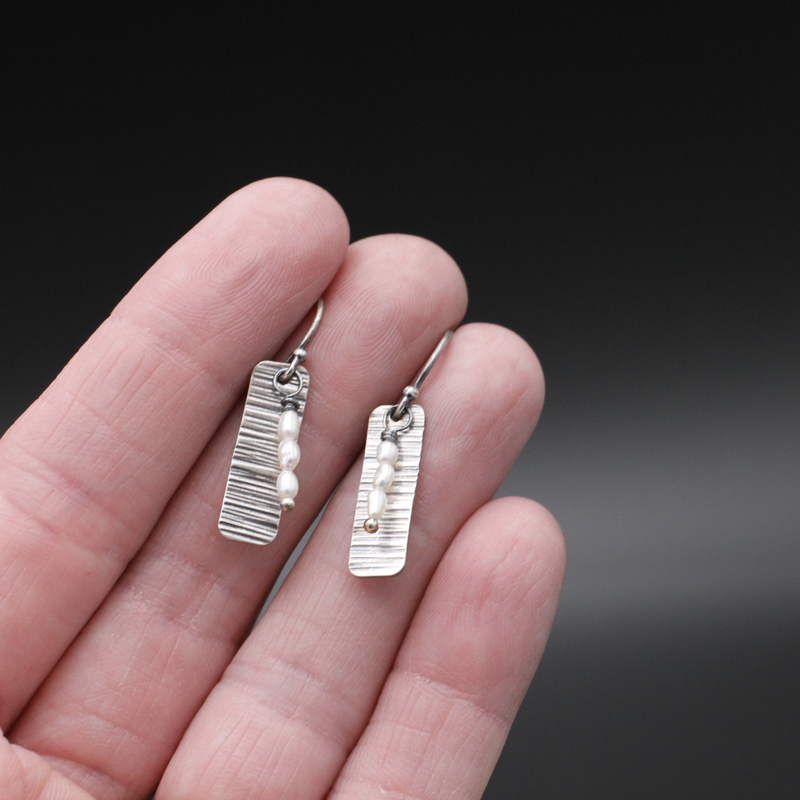 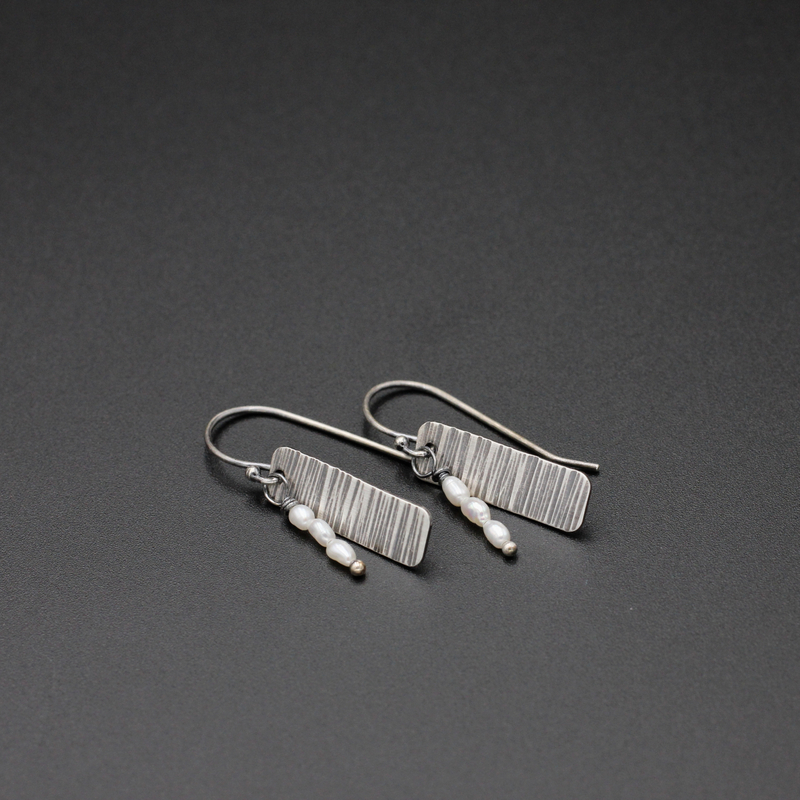 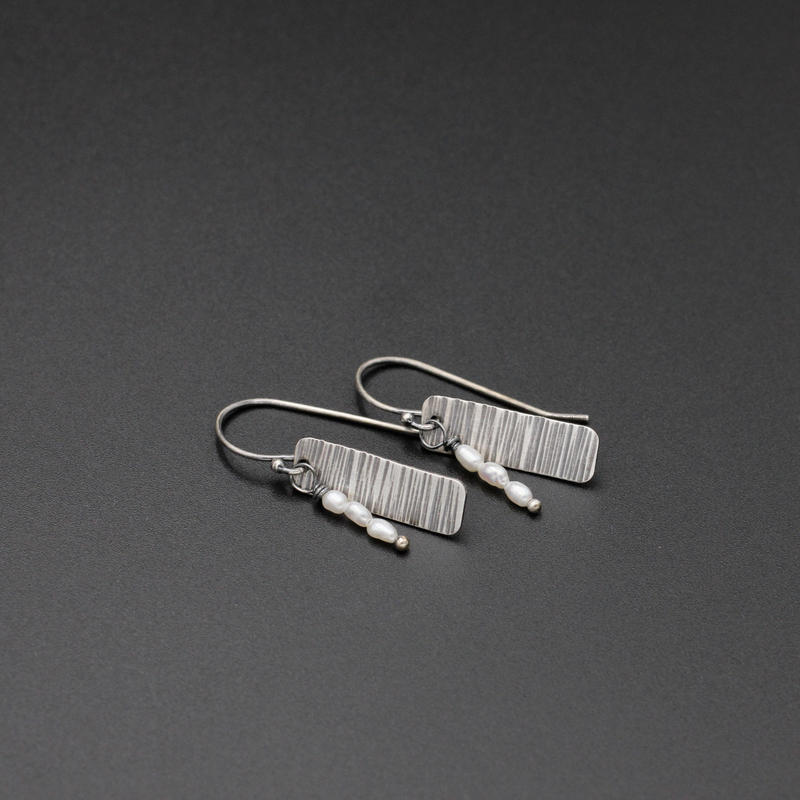 Delicate bumpy freshwater pearls hang in front of the rectangle from sterling silver ear wires. 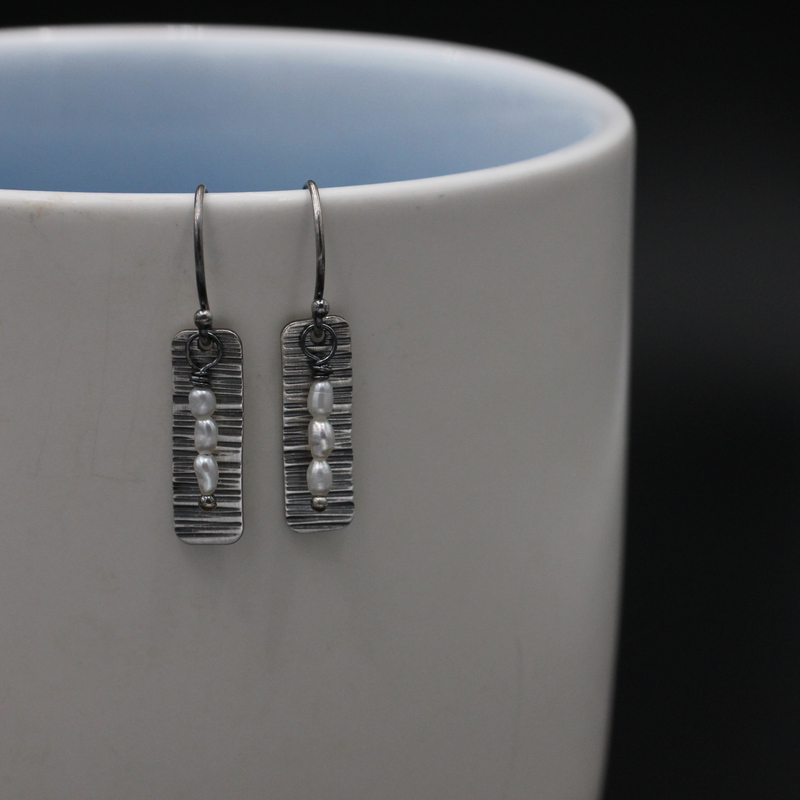 The earrings hang approximately 1 1/4 inch (3 cm) from the tops of the ear wires.